I love new ideas. You know that moment--the one where you're looking at a brand new page, on a clean new document. That place where you are just beginning. It's like an unmarked page on a brand new calendar. There are limitless possibilities! Fast forward a month, or several months, and suddenly you're rather tired of these people you have created. You're not sure where they're headed, or why they're going there. You really wish you could just move on to another project. Or maybe that's just me! So what do you do when your manuscript is stuck in the mud? How do you move on? I'm working on my twenty-fifth manuscript, so I have some experience with this phenomenon. Here are a few things that have helped me over the hump. Stop and write your ending. I do this every book now. I begin at the beginning, and then write until I'm bored. That's usually somewhere between 30 and 40 thousand words. When I find myself STUCK (playing more solitaire, cleaning out the bottom desk drawer--you know the symptoms), I move on and write the ending of my story. This might be one chapter or a dozen. You might be asking, “How can you know the ending if you don't know the middle?” I just envision where I want my characters to be when the book is done. Take a break! Sometimes you need a day or two, maybe even a week, away from your manuscript. Set a defined limit and give yourself time off, then start back at it with a well-rested mind. Go to the hammock with a pen and paper. Write down 10 things that could happen to your characters. Don't police your thoughts. Anything goes here! Be as outlandish as you'd like. The next day look at your list, pick one idea, and follow that thread. Consult your notes. If you had any original notes for your manuscript (or even an outline, maybe a synopsis), pull it out and look at it. No doubt, your characters have developed in different ways than you imagined and your plot has taken a few curves. What about those original notes still appeals to you? Pray. You initially felt that God put this story on your heart to share. Ask for guidance and a direction. Ask that God bless your words and your work and use it to touch lives. Keep writing. Even when it feels like you're writing complete nonsense, keep writing. Push through until you find the path your characters are supposed to take. Yes, you may delete some of these pages later, but deleting is not a problem. Just. Keep. Writing. Being stuck is not a sign of imminent disaster. In my opinion, it's a natural part of the writing process. Hopefully one of these ideas will help you when you’re stuck in the mud. Now it's your turn. What suggestions do you have for writers who are stuck? Vannetta Chapman writes inspirational fiction full of grace. 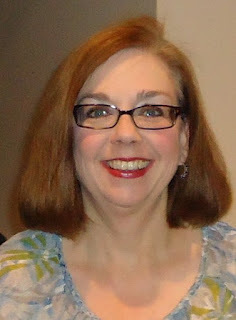 Her novel, Falling to Pieces, was a 2012 ACFW Carol Award winner for best mystery. 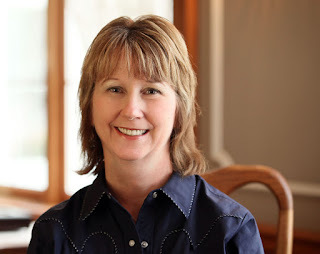 She writes Amish mysteries for Zondervan, Amish romances for Harvest House and Amish novellas for Abingdon and Zondervan. All of her books have been Christian Book Distributor bestsellers. Her most recent release is Murder Freshly Baked, the third book in her Amish Village Mystery series. Chapman lives in the Texas hill country with her husband. 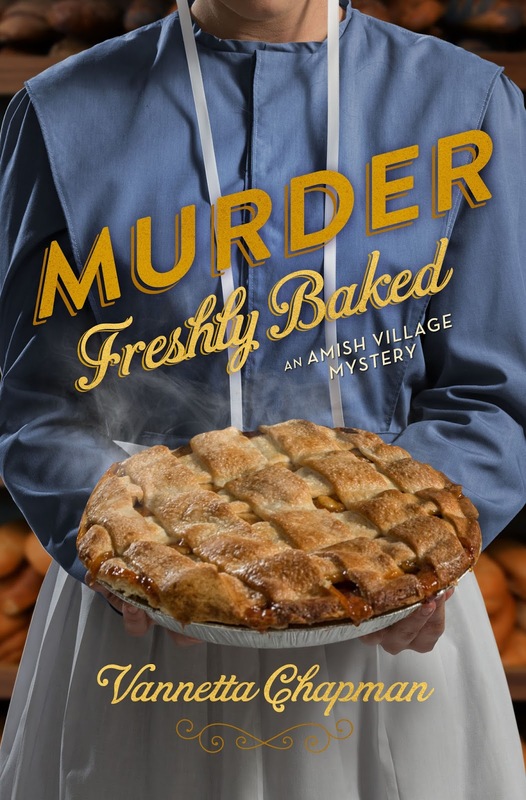 When poetic notes begin appearing around the bakery, warning that some of the pies have been poisoned, Amber is as confused as she is concerned. Who poisons pies? And more to the point, who leaves poems of warning after they’ve done it? Have you ever written a character that wasn’t close to your own age? For instance, perhaps you’re thirty-eight, but your character is sixteen. Or you’re writing a twenty-something, but he’s coming across as fifteen? Adults have weathered tough situations and know storms pass. Teens tend to participate in and tolerate melodrama in their lives. Adult generally prefer less drama. In the lives of teenagers, there are lots of firsts (first job, first romance, first drive). So youthful characters would experience more wonder, less cynicism, more optimism. Adults have more life experience. Adults can sometimes become cynical and pessimistic as they see evil patterns repeated over time. Adults often overlook flaws more than teens do. Teens tend to focus on externals. For example, one of the first requirements in romance might be appearance. Adults generally search for internals. In romance, adults might look for character traits they now realize they need or prefer in their lives. Adults have generally learned the value of responsibility. Adults have learned how to reward themselves for tackling difficult jobs and the satisfaction of having them finished. Adults also tend to trust they'll have the capability (or resources) to finish the job. Teens tend to think in terms of “black or white” (or, shall we say “red or green”). Adults know there is always more than one side to every story. Teens tend to go along with popular mindsets. Adults analyze mindsets and develop their own set of beliefs. Again, these are generalizations. For the twenty-something character, you could combine some of these traits because twenty-somethings are figuring out the world, and learning “responsible independence” for themselves. I hope this list helps when working on characterization. Ever wonder how authors come up with names for their characters? I’m not sure if they are unique or not, but I’ve used several methods. For example, surname lists on the internet for foreign characters can be very helpful to pick that perfect name to match the character’s persona. First name lists, organized by which name was the most popular in whatever year your character was born, is another helpful way to locate that correct name and spelling. Probably weren’t that many Gertrude’s born in 1975. Nor were many Heathers or Brittanys born in 1776. Sometimes, I just look to the shelf. Often, names of authors or names used within some of those books can be useful. I found the perfect name for a Russian scientist in a book about Vladimir Putin. Name mining, I call it. Makes it very real. However, my favorite way has been to pull a page out of Thomas Kinkade’s “book,” so to speak. Many of you may already know this, but when Kinkade painted, he would embed the initials of his wife, or her name, into his paintings. It became a sort of trademark. People would obsess with trying to find that “N” for Nanette. It’s been reported that he put 156 “N’s” in his Golden Gate Bridge painting. 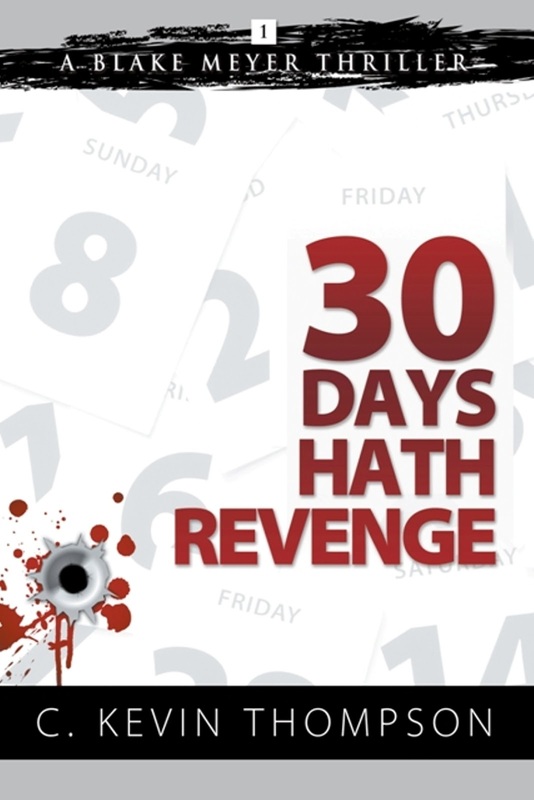 In my second book, 30 Days Hath Revenge (A Blake Meyer Thriller – Book 1), you’ll find I utilized my namesake grandson, but I used it in a bit of a more creative way by making his first name the last name of the character. When he gets older (he’s five), I’ll show him, explain it all, and it will be something we two can cherish together. In the manuscript of Book 2 to the Blake Meyer Series, you’ll find my granddaughter’s first and middle name used, again, in a creative way. And in the manuscript for Book 3, you’ll find my oldest and youngest grandsons’ names. With one, I used just his first name because it’s a little unique. The other, I used his first and middle name in the same fashion as the granddaughter. I plan to use my third oldest grandson in Book 4, and eventually use my daughter’s first names in the remainder of the series, if they work out. If not, they pop up eventually. The point is this: You need names, so why not use ones that have meaning? It’ll make for a great coffee table discussion when the fan club’s book group tries to figure out where the “N’s” are. But more importantly, it uses the people you love, within the craft you love, with the everlasting power of the written word, to create a legacy you all can treasure. It may be Thursday, but it isn’t my usual Thursday so I hope you’ll give me a minute to get settled in. Thanks to Dora for switching weeks with me, when I had some unexpected events crop up. Hmm, maybe that’s where I came up with the idea for today’s post. Most authors, myself included, have a specific genre we like to write. Suspense is my favorite genre and it is the publishing path I’m pursuing. Almost all the ideas for stories that pop into my head are suspense. Now, I’m not sure what that says about me, but since I know plenty of other normal suspense authors I’m not going to worry. When I stop to think about it, my penchant for suspense shouldn’t surprise me. I’ve long been a reader of suspense novels and I love television shows that are police procedural dramas. Sherlock Holmes is playing in the background while I write this post. However, my published Christmas novella is a lighthearted contemporary romance. I had a blast writing it and I’d love to do more, time allowing. Romance has been a staple in my library for years. Christmas books, especially novellas are some of my favorite reads. Plus, my all-time favorite movie is Pillow Talk. Definitely a romantic comedy. But lately I’ve had a yen to write something totally off the wall – for me. Speculative fiction. That’s what I really want to discuss with you guys today. I’ve read speculative fiction, but it isn’t one of my favorite genres to read. Help me out, how did the idea pop into my head? How in the world would I go about writing a speculative fiction book? Right now I don’t even have a story idea. I just have this niggling inside me that says it would be fun to try. A few thousand words into the story and that feeling may well change! As much fun as it sounds, it also sounds off the wall and a little scary. Is this my idea or God’s plan? If the desire to write this book is from the Lord, I believe He will provide the idea. How about you? Have you ever desired or felt called to write something totally different? Did you do it? Please let me know if you have and how it worked out. Terri is a lead analyst by day and an author by night. She enjoys gardening, reading, and playing in the hand bell choir. One of her favorite pastimes is volunteering as the librarian at her church. It allows her to shop for books and spend someone else’s money! Plus, she has the great joy of introducing people to Christian fiction. She lives with her family in Oklahoma. 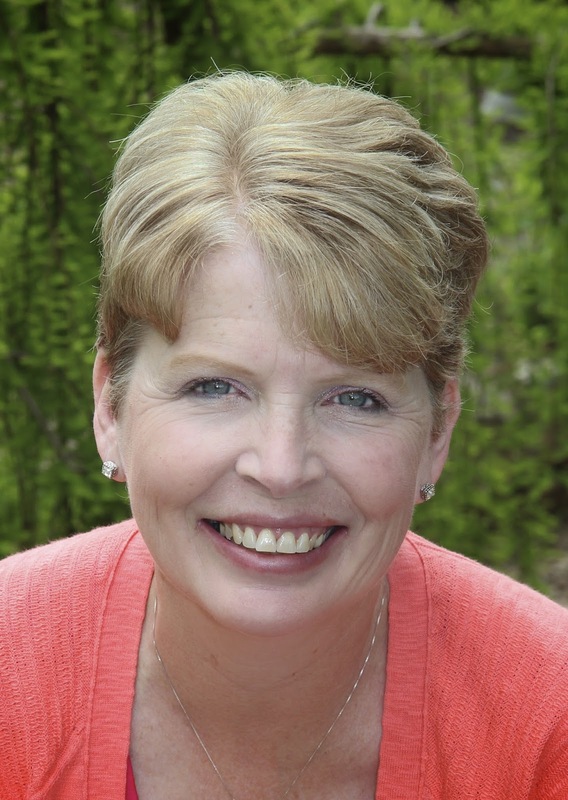 Terri has three dogs – a lovable mutt and two adorable Westies. 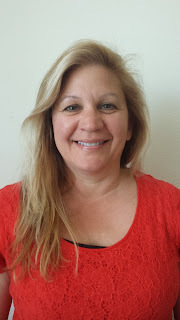 Terri is a member of ACFW and OCFW, a local chapter of ACFW. 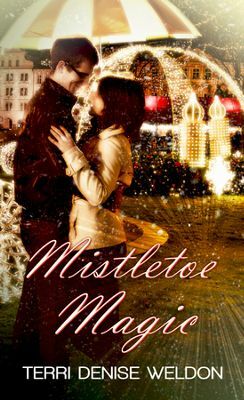 Her dream of becoming a published novelist came true in November 2013 when Mistletoe Magic, released from White Rose Publishing. To learn more about Terri visit her website at www.TerriWeldon.com. Patty: last few weeks have not been the greatest for me. Health issues of my husband and youngest daughter along with the news that the home we’d lost in Michigan a few years back was still on our credit record and keeping us from buying a new home had taken the wind out of my sails. The writing ministry which I’d had such high hopes for seemed stagnant. I felt out of touch with God. I mean, I was doing everything He’d called me to do so why was I ready to give up? Why was I investing so much of my time and effort into writing and not seeing any fruits of my labor? I was lower than low. Then God showed up and showed out, maybe not in the way I’d expected but my expectations are so small in light of what a big God we serve. Last Friday night, after a particularly bad week, I was rolling through my Facebook page when one of the messages in my inbox caught my eye. Years ago, I’d had the privilege of visiting San Marcos with a group called Opportunity of a Lifetime whose mission was to cloth, feed, educate and share the Gospel to the families and children of Honduras. I say it was a privilege because I was going through an equally rough time then. While I might have gone there on a mission trip, it was the people of Honduras, through their faith and totally devotion to God, who ministered to me. I clicked on the message. It was Noel, a boy I’d found living under a tree in a small village outside of Tegucigala. His parents were dead and he had no immediate family to take him in. He was only twelve, maybe thirteen with no one in this world and no way of supporting himself. One look at this sweet boy and I knew Danny and I had to help. For the next four years, we supported him as he went to school in San Marcos. After his graduation, we lost touch. I friended him immediately and went to his Facebook page. Noel is happily married now with three little girls of his own, and pastoring a church in Naples, Florida. He still has that sweet smile that captured my heart all those years ago. In our conversation, he told me he’d been looking for me for eight years just so he could thank me for giving him a chance, for introducing him to God. It hit me then. The books I write, this writing ministry I have, it’s all about planting seeds. Some, I’ll see grow to fruition while others may only ripen after I’m gone. That thought—focusing on the eternal rather than the present—is what inspires me to write today. Have you ever felt as though you're beating your head against a post when it comes to your writing? Share a blessing you've received that you didn't expect. After ten lonely years of caring for her grandfather, Kallie Huffman is ready to restart her career. Taking a job in the laboratory of New Hope Community Hospital seems like a logic choice until her nursing license is reinstated. Lab Director Jefferson Muster is everything Kallie has ever hoped for in a man. But the prognosis hanging over her head dooms her to a life of solitude. Jefferson Green needs to find out what is killing patients at New Hope Community before tragedy strikes again. A tremendous loss as a young boy shapes Jeff’s harsh view of personal relationships. When help comes in the person of Kallie Huffman, the walls Jeff carefully constructed around his heart start to crumble. But Kallie is hiding something that could drive them apart forever. 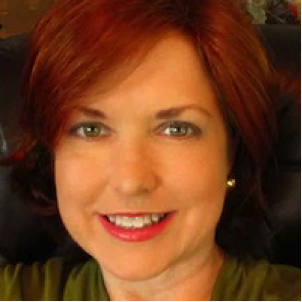 Patty Smith-Hall is a multi-published author with Love Inspired Historical/Heartsong and currently serves as president of the ACFW-Atlanta chapter. She currently lives in North Georgia with her husband of 30+ years, Danny, and finds her greatest job in spending time with family and friends. 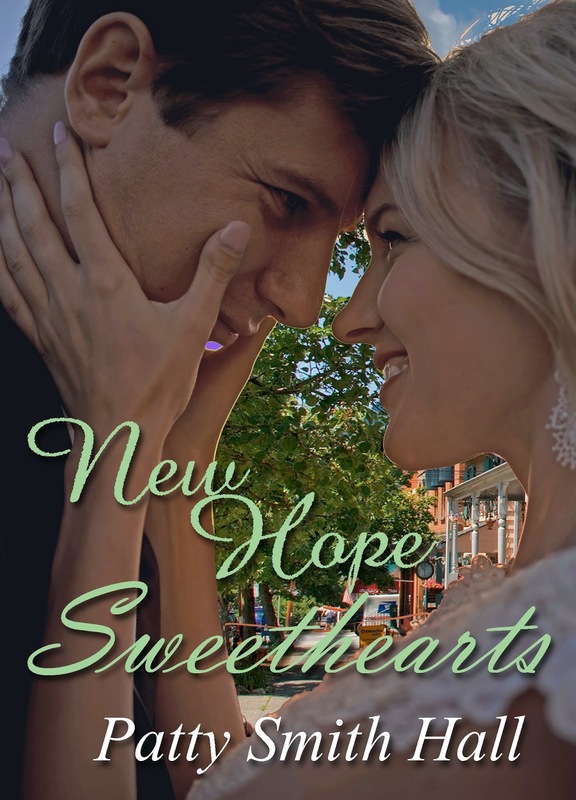 Her next release, New Hope Sweethearts will be available in July on Amazon. 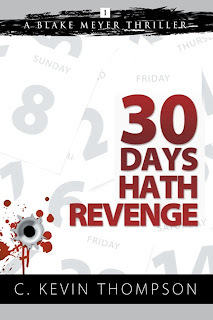 An uplifting Wednesday night Bible study collides with one brutal gunman consumed with hate. Nine lives lost. Countless forever changed. A world grieves. I live in South Carolina, only two hours away from the Holy City — Charleston, South Carolina. I’ve passed that church so many times. I heard that pastor speak in our Senate last month. Tonight, network and cable news reveal every hateful detail of the villain’s murderous plot. Nine men and women who loved the Lord and died as martyrs. Sometimes we have to look past the pain and grief to find our joy again. 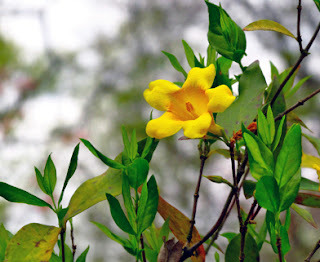 Look for that tiny bit of yellow against a vast expanse of gray. Romans 12:21 says, "Do not be overcome by evil, but overcome evil with good." The good is there, we just have to change our focus. Writers are sensitive souls. We grieve deeply when tragedy knocks, whether it is at our door or someone else's. Our souls connect with others across the country, across the world. How can we build fictional worlds when real ones have been forever destroyed? But John 1:5 reminds us, "The light shines in the darkness, and the darkness has not overcome it." You may be facing writer's block today because of the Charleston tragedy, inhaling the information, taking it to heart. Pray for those afflicted by tragedy, but stop watching the news reports. Check out of social networks for a day or two if you need to. Try pouring your grief into another kind of work. Steven Curtis Chapman was inspired to write Charleston, a beautiful song that reminds us: love overcomes evil with good. Allow God’s love to heal your heart. Wait until you hear your story again. Each one of the Charleston families refused to inherit the hate from that killer. Instead, they offered forgiveness to the man who killed their mother, father, sister or brother. That’s God’s power at work. If hate is filling your heart, pray that you’ll be able to forgive. If you can’t work through your grief, ask for help. Don’t stop until you find someone who will provide it. Don't let it fester within you. Recognize you may need to spend some time alone. It’s hard to do if you have a family, I know. Go to your bedroom. Go to your bathroom! (I remember what it’s like to have a six-year-old following you around.) Ask a friend or a family member to watch your child(ren) for an hour or so. Breathe. Take care of yourself. Remember that you’re more than a writer. Don't beat yourself up if you can't write, right now. Just do what you are able. There comes a time, after the weeping, when we allow God’s power to heal our hearts. A time when we can focus on joy. 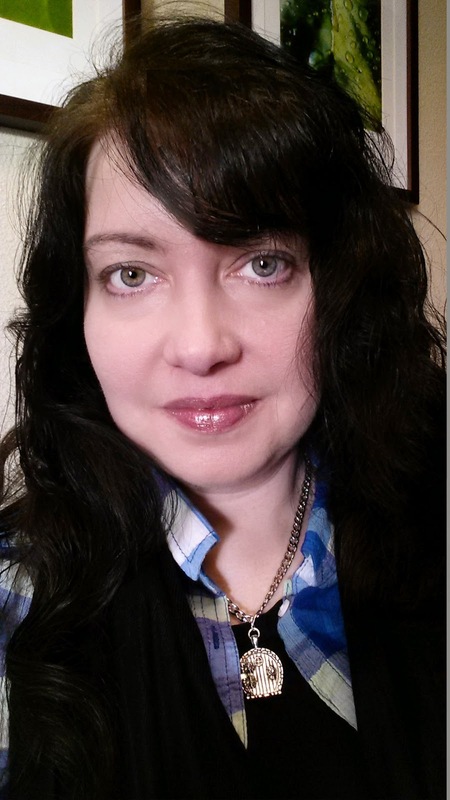 Angela Arndt enjoys writing mysteries set in small Southern towns. Coincidentally, she, her husband, and their three very large dogs (a lab mix, Staffordshire terrier, and a 12 pound poodle) live in the middle of a big wood outside a small Southern town. She would love for you to visit her website, http://www.angelaarndt.com, or her team blog, http://seriouslywrite.blogspot.com. Guilt niggled as I launched myself, pedaling into the wind. To circle the block and claim my victory I’d have to cross the alley twice, breaking my dad’s rule. Yet, the desire to be one of the ‘Big Kids’ along with my sister only served to make me pedal faster. The sky smiled clear-blue as the streets whispered encouragement. What could possibly go wrong? I learned a valuable lesson that day, one that remains with me decades later. Boundaries are set for a reason—not to confine but to protect with the deepest love. Yet, even when our free will takes us across a dangerous road or down a shadowed alley, God our Father welcomes us home with open arms and forgiveness. Thank goodness for grace...and for fathers. Rebecca Gillespie is lucky to be alive following a devastating car accident that claimed her husband’s life and put her in a coma with little hope of recovery. Her heart still aches for the loss of her precious daughter given up for adoption by her wealthy, dying mother-in-law to a couple in Mills Landing. Now, fully recovered, Rebecca struggles to rebuild her life—alone. She soothes the emptiness in her heart with laughter of children who fill her local preschool, Precious Miracles.